A competition is setting between Jarir Book Store and STC even though STC is just a carrier building a position in KSA. Jarir promised t’s beloved customer’s to bring XOOM exclusively by Jarir but it came out to be wrong and STC made it true even thought STC didn’t promised us to bring XOOM in the middle of April. 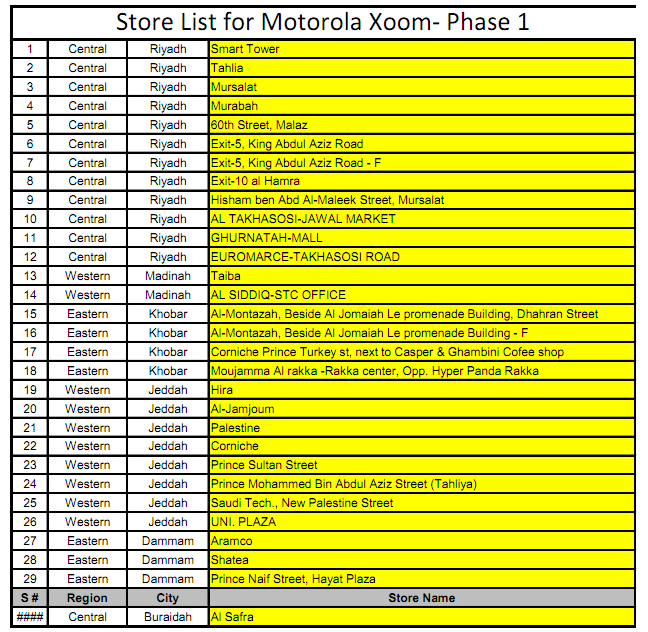 STC brings XOOM today morning (29th May 2011) officialy to STC retailer’s.